The high cost of raising hogs is causing a bacon shortage and higher bacon prices. (CNN) – The price of bacon is about to go up. Say it isn’t so! 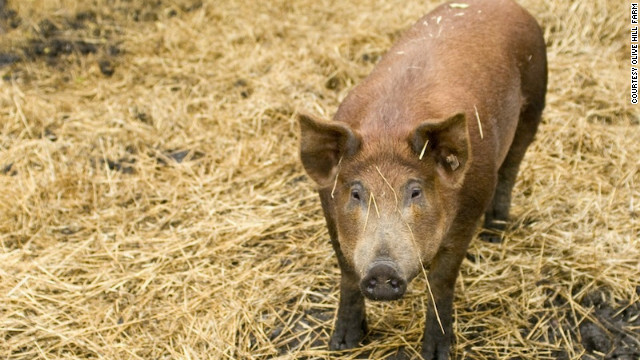 Though the industry warning first came out of Europe, hog farmer Diana Prichard of Michigan’s Olive Hill Farm says that it’s true here in the U.S. too. Kat Kinsman, managing editor of CNN’s Eatocracy, says it’s about the sanitation standards of the animals and humans on farms. Too often food is contaminated because of the lack of clean facilities and sanitary workers. Prichard and Kinsman said you probably won't find grocery store shelves barren of bacon, but there may soon be less of it and at higher prices. Are you a bacon lover? Are you concerned about a bacon shortage? Do you have a favorite bacon recipe or dish? Listen to the full story above and join the conversation below. Can you live without bacon? What's your favorite bacon recipe? Will you stock up before the price gets too high?